The perfect Disposaguard® for your Household and Office needs. The SIMPLE, EASY WAY to keep your home STRESS FREE. SAY GOOD-BYE to GARBAGE ODORS once and FOR ALL!!! ODOR ANGEL™ is a ALL NATURAL, BIODEGRADABLE, NON- TOXIC odor ABSORBER and BLOCKER for Waste Receptacles.As well as Compost Bins. Comes in HEALING aromatherapy scents. Which IMPROVE QUALITY of LIFE. - HELPS LOWER BLOOD PRESSURE. COTTON CANDY - FUN Scent great for that "Kid" in all of us ! LAVENDER - Repels Mosquitoes ! as well as aids relaxation and helps promote restful sleep. -***MAKE ANY OF OUR SCENTS " Fever-ized "
Feverfew also eases many of your symptoms. According to the Gardens Ablaze website, bees hate the feverfew plant, a flowering herb that is a member of the daisy family. Feverfew produces a scent and bitter taste that bees despise. Plant this herb along walkways, garden paths and other areas where you want to keep bees away. This plant is not a cooking herb, but it can be used to treat ailments such as cuts and digestive upsets. ******The ancient Greek physicians used herbal remedies made from the feverfew in the treatment of "melancholy," the term may have included disorders such as persistent headaches as well as long term depression. Seventeenth century doctors in England used the remedy for the treatment of disorders and problems such as vertigo, disorders such as depression, and persistent headaches, they may have also prescribed its use for the treatment of fevers, to bring the temperature down. At the present time, researchers are involved in investigating the supposed ability of the feverfew's and its reputed effectiveness in treating cases of rheumatoid arthritis. MORE SCENTS TO COME....including Odor Angel for kids..
KEEP YOUR TEEN'S ROOM Smelling SWEET! their HOMEWORK at the SAME TIME !!! GIFTS OF GRACE and HOPE HOME. children with LIFE- GIVING Medications. ****Shipping figured upon Receipt of Order-Additional charges may be applicable. You can buy safely and securely by using the PayPal service, just click on the button below. TALK TO GRACE AND HOPE page. Thank -You for your Patronage. your DOLLARS and SCENTS ®. We are naming the new Lavender Mosquito Repelling Scent here at Odor Angel and we would like YOUR OPINION! ***Fill out the contact form below and put your choice in the comment section. We can't wait to see what it'll be !!! Your suggestion could be permanently part of our HISTORY!! JOIN the FUN ! You could WIN a Personalized Odor Angel ! Please leave Province & Postal Code in Comment section of form below. Introducing ODOR ANGEL, a stress free way to improve your memory and concentration, as well as a non-toxic Biodegradable..BEE FREE way to extend the life of your garbage bags all while gently scenting and Blocking Odors from your waste recepticles. • Did you know diffusing a blend of cinnamon, clove, eucalyptus, lemon, and rosemary oils can kill 99% of airborne bacteria in 12 minutes? and the soothing aromatherapy of a" baking" Pumpkin pie!! Why be bothered with this number? ORAC stands for Oxygen Radical Absorbance Capacity. It tells you the antioxidant capacity of a food item. Antioxidants have shown to reduce the risk of age related conditions and cancer! This was developed by the USDA researchers. For instance: Spinach = 1,260; Clove = 1,078,700. Wow! 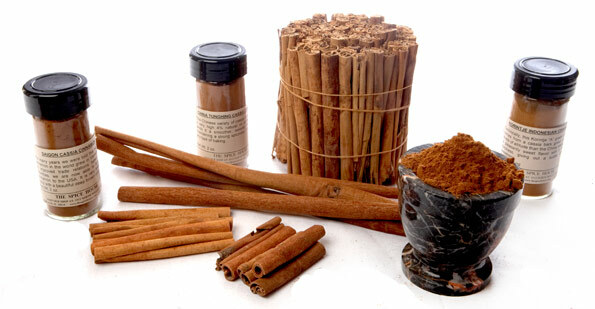 Did you know that Cinnamon is recorded in Ebers Papyrus, one of the oldest Egyptian medical texts on record? Ebers Papyrus dates to about 1550 BC and contains over 700 remedies for almost everything including cancer, asthma and of course, embalming. What are the Cinnamon Plant Properties? Great stimulant (immune, sexual and circulatory), stomach protectant (ulcers), purifier and warming salve. "Set the mood with Cinnamon"
What are the Documented Uses and Health Benefits of Cinnamon? Infections (flu, tropical, cough, cold), blood sugar levels, digestive problems, viruses (herpes, etc), cardiovascular disease, diabetes, ulcers, inflammation, circulation, rheumatism and warts. **Buy Now/Shopping cart on the left ..on this page.